GregW wrote "Grrrr....still no change - showing 3/13 completion." Just spoke to the Sales Manager of my dealer, 'they are experiencing delays in sourcing parts.' I have been on B4 since early February. Now appear to be looking at early April. On the one hand it’s disconcerting that they have this shut down and delay. But a lot of companies would keep cranking out product and deal with the issues down the road. A production shutdown for 2 weeks will cost Mercedes a boatload of cash. It may not even be a Mercede’s issue since so many components are outsourced. I’m not going to jump ship for a BMW that has lots of known quality issues. Every time I make a decision on impulse I usually regret it later. I am watching the news feeds to see if there is anything being reported. Mercedes would normally keep Stock Market Analysts appraised about potential issues to avoid an unexpected loss. Not good for the stock price! I can understand there might be parts shortages or other production issues, especially early in a run, but there should be a way to keep the dealer advised on a new estimated production date, especially for sold customer orders. I’ve been waiting 4 1/2 months for this, and first it was to be completed 2/27, then it slipped to 3/13, now ??? I have someone waiting to buy my car and I have to keep telling him it’s delayed. This makes for a very poor customer experience, especially for us early adopters that are brand promoters. My gripe is that with every month/miles on car, we will get less for our trade-ins. But, can't be helped. I too wish they would be more forthcoming with the dealers, and more specific about what the delays are actually about. I agree 100%. There is no excuse for the lack of communication by Mercedes and they are accountable for the delay. Just like the apparent holdup with EPA certification, something is amiss. I do give them credit if they called a halt to production....but they may not have had a choice so will reserve judgement. As we saw with Elon Musk tweets, there are ramifications to information releases that can affect stock prices. Hopefully they are waiting-not to dodge the issue but to be certain that they can report accurately. I’m in the same boat on having sold my Vehicle. I set the deal to close April 5th thinking that was conservative based on March 1st decade build schedule. I have to let my vehicle go so will be inconvenienced for a while. 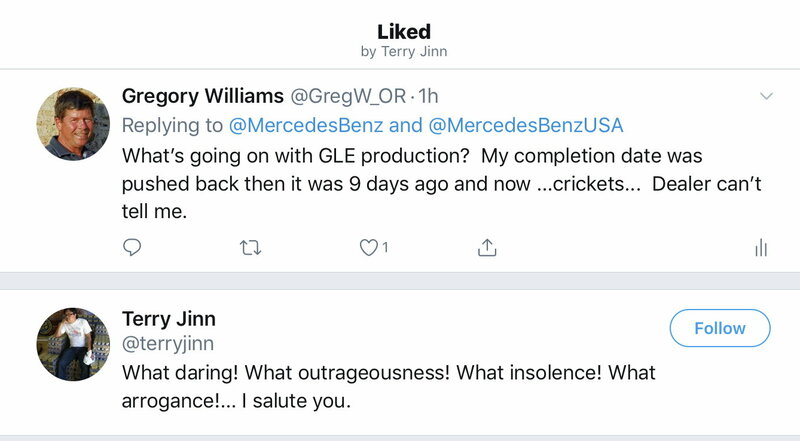 MERCEDES owes Greg a big favor and should give you a high priority....but it’s a big Co. and the decision makers probably have no way to know about your contributions on their behalf. 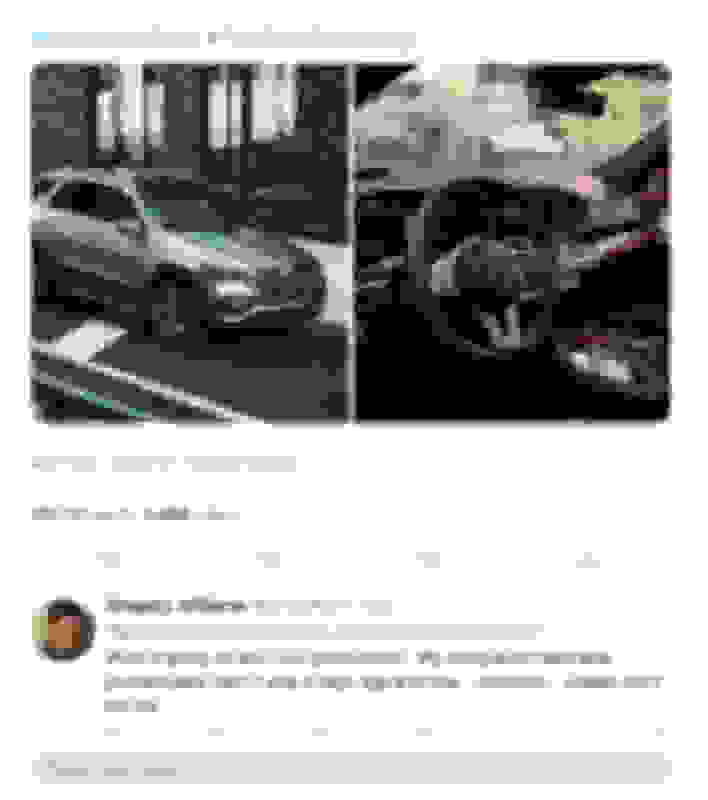 I think some of us should send a complaint to Mercedes. Any suggestion on the process? Twitter can be your friend. These days social media can be the most effective route. Great idea Greg. I’ve avoided all the Social Media but it’s got a lot of eyeballs and should get you some response. Your nice approach will be more effective than mine, I was a little too harsh. My luck is bad on another front. I ordered a new Honda Talon Side by Side a few months ago. It was shipping last week but Honda found a Safety issue with a weld and now it’s sitting at shipping waiting with almost 400 others for a roll cage replacement. Not a big deal but even Robots make mistakes....and repeat them over and over and over, Apparently the Robot developed a slight hiccup a few weeks ago and it was so obscure that it went unnoticed. 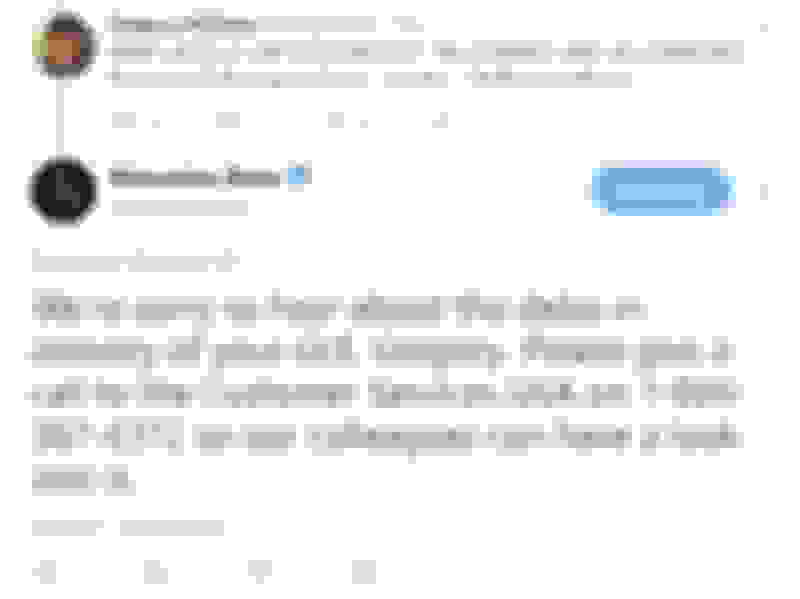 Last edited by Ron.s; 03-22-2019 at 10:40 PM. Congratulations on your new Bimmer! I hope you drive her in great health and happiness. Though I've been a lurker for the most part on this side of the forum after getting my E450, I know you've been a great contributing member on this forum and I'm sure many will miss your input greatly. Again, congratulations on the new ride! Very kind of you. I'll keep watching this forum in the coming weeks and months to read everybody's reactions to their new GLE's as they begin to arrive. Better days ahead for all of you. I called but will have to wait until Monday to get a call back. I don't expect much. Last edited by GregW / Oregon; 03-23-2019 at 10:25 AM. Well, now I am embarrassed! The day I sent my complaint, my GLE finished production-4 days early. Shows done as of this morning. I had mine fairly loaded but with just the air suspension. 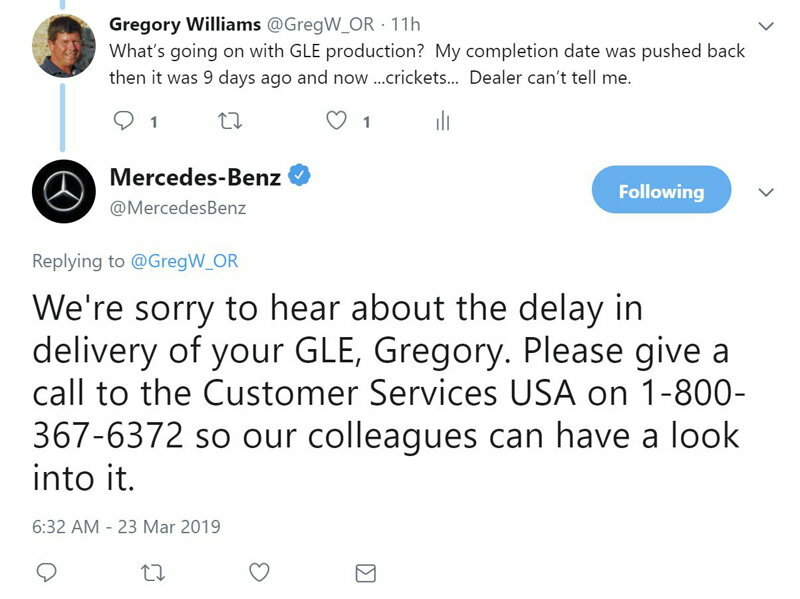 That kind of narrows the delay of Greg’s and Joe’s down to the E-ABC so apparently the Mercedes factory is humming along. I might have mine by the 15th to 20th of April if shipping gets back to normal. Good news for you! As heavily as E-ABC was promoted at launch, you'd think they would have had a quantity of parts premanufactured. Well, it's all speculation at this point - could be a number or reasons some are delayed. Mine is Polar White and they batch colors so.....maybe Greg has his in this batch too! I assume they are working through the weekend so maybe Monday you will get some good news. I keep telling myself there’s no hurry but we all know that’s a lie. Once you order each day seems like 2 or 3. From the MBUSI website: "...At this point the bodies are sent to the ASRS (AUTOMATED STORAGE AND RETRIEVAL SYSTEM) where the painted bodies are stored. The ASRS enables a Just-In-Time automated storage and retrieval of any painted body that our Production Control department orders. Upon order the painted body automatically travel to the appropriate assembly shop. Typically at the same time they will send a signal to our JIT/in-sequence suppliers to build the parts for that vehicle. The parts will arrive on the line at the same time as the body arrives." So, it sounds like there is a supply of bodies of different colors waiting to enter the assembly process. That's why you see cars of different colors moving down the line. I'm guessing that's when the VIN gets assigned, when it enters the line. I've had a VIN since at least 3/4. I'm guessing it's setting partially complete waiting for some part(s) that are delayed. With JIT a supply truck crashing or any small thing can upset the flow of materials. There's not enough of a track record to hazard a guess. There have been few if any custom orders delivered yet. Mine, ordered first day back on 11/4, is now 10 days past the already slipped 2 weeks date. Assuming the plant gets running smoothly, that estimate sounds plausible.